The first week of the Showplace Summertime Series has finished at HITS Balmoral Park. 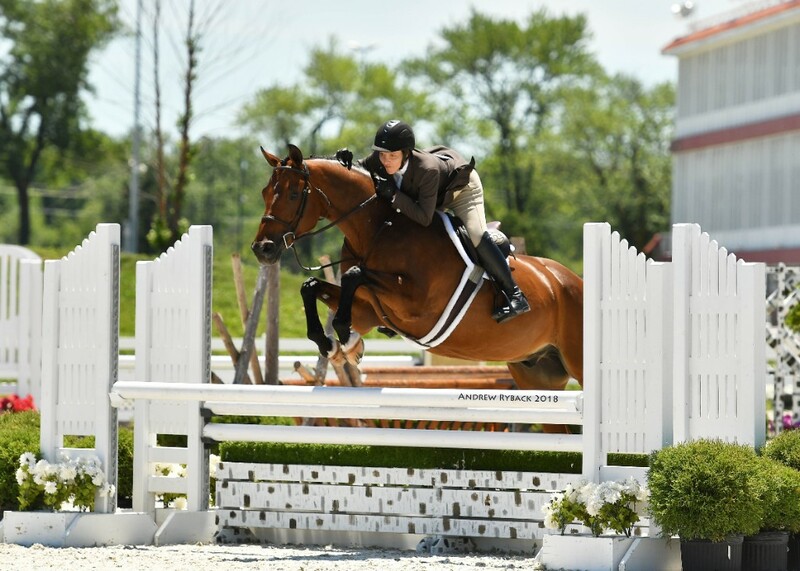 As things begin to heat up (literally and metaphorically) in Crete, Illinois, competition is becoming fiercer as riders from across the country gather for another top rated Hunter/Jumper show with HITS. Getting the week off to a thrilling start, Alexis Trosch and Bryn Sadler battled it out for the win in the $5,000 Johnson Horse Transportation Open Welcome. Trosch took home the blue aboard OPALINE Z in a jump-off time of 36.012 and also took the third and fourth place spots aboard CORTEX Z and CANTARA Z in jump-off times of 38.310 and 41.105, respectively. 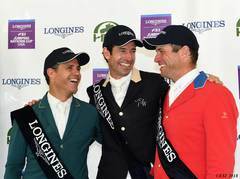 Sadler was only two-tenths off the winning pace placing second with CEZARRO in a jump-off time of 36.394, also placed fifth aboard QUINTUS 66 in a four-fault jump-off time of 41.040. 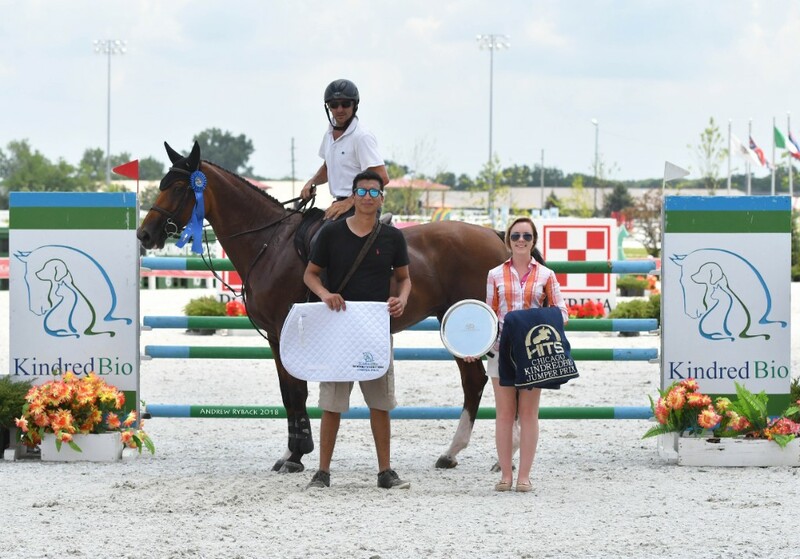 Gustavo Prato and CARNA Z, winners of the $5,000 KindredBio Jumper Prix. Lisa Goldman and SOVEREIGN, winning the $35,000 Adequan Grand Prix. In the $5,000 KindredBio Jumper Prix, Gustavo Prato came out on top with CARNA Z in a jump-off time of 40.272. Emanuel Andrade was a close second aboard HARDROCK Z in a jump-off time of 43.141. Third was Isabella Bleu Baxter and JAHIL in a jump-off time of 44.247 and Shannon Hicks was fourth with CLEARWATER 5 in a jump-off time of 44.374. Sadler rounded out the top five with BULL RUN'S LIVING in a jump-off time of 44.835. 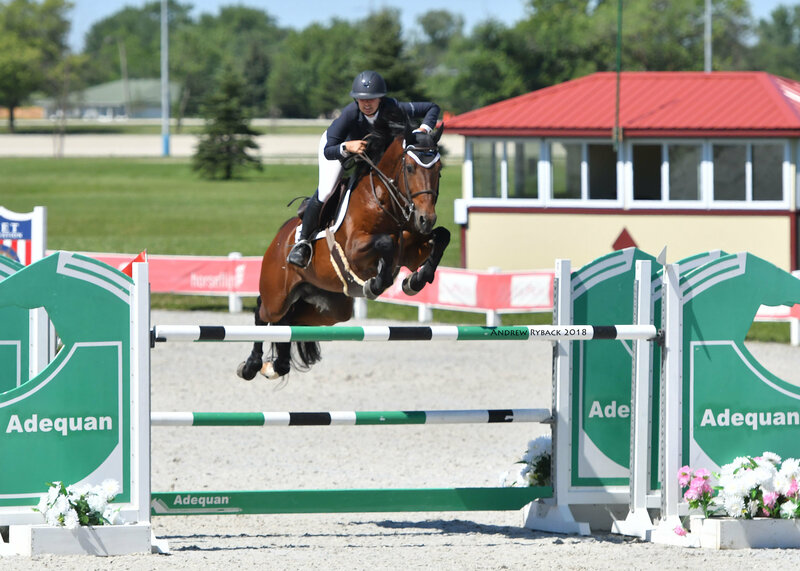 Saturday brought spectators and competitors together for the $35,000 Adequan Grand Prix. For the fifth time this year at HITS Chicago, Lisa Goldman took the first place spot, aboard SOVEREIGN in a jump-off time of 44.919 Trosch was second aboard OPALINE Z in a jump-off time of 45.254, with Andrade close behind taking both third and fourth place with RICORE COURCELLE and JOLI JUMPER in jump-off times of 45.532 and 47.596, respectively. Fifth was Sadler and BULL RUN'S LIVING in a jump-off time of 51.117. Wrapping up the Grand Prix ring on Sunday was the $5,000 SmartPak Jumper Classic. Andrade bested the field, taking first aboard CORTINA 186 in a jump-off time of 43.072 and also taking fifth aboard DIPSSY in a four-fault jump-off time of 44.814. Hicks took second with AL PACHINI in a jump-off time of 43.439 and fourth with YPSILON in a jump-off time of 50.446.Third was Shannon Sullivan and DOWNTOWN'S MAIN EVENT in a jump-off time of 44.081. Laura Linback and ATTENTION PLEASE, winners of the $2,500 USHJA National Derby. Stay tuned for the Showplace Summertime II Wrap Up next week to see if Lisa Goldman will continue to dominate the Grand Prix ring! For more updates make sure to like and follow our social media pages.